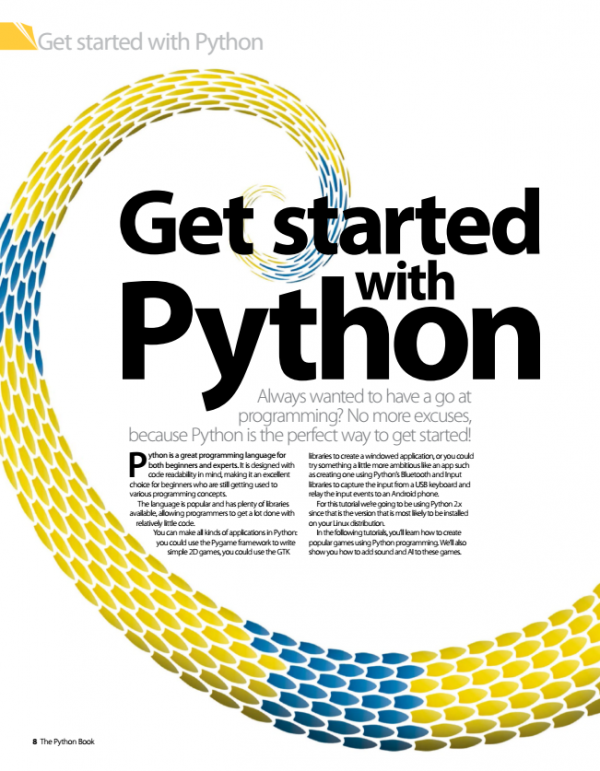 Python is an incredibly versatile, expansive language which, due to its similarity to everyday language, is surprisingly easy to learn even for inexperienced programmers. 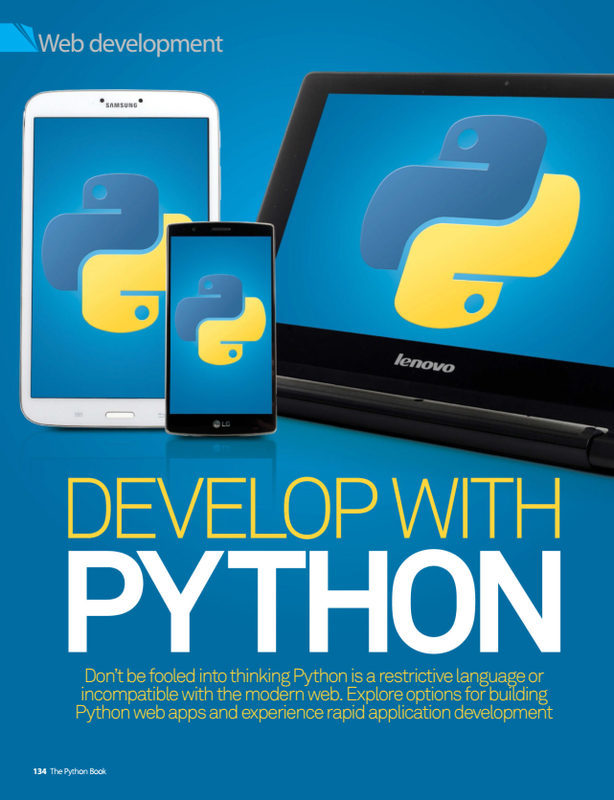 It has seen a huge increase in popularity since the release and rise of the Raspberry Pi, for which Python is the officially recognized programming language. 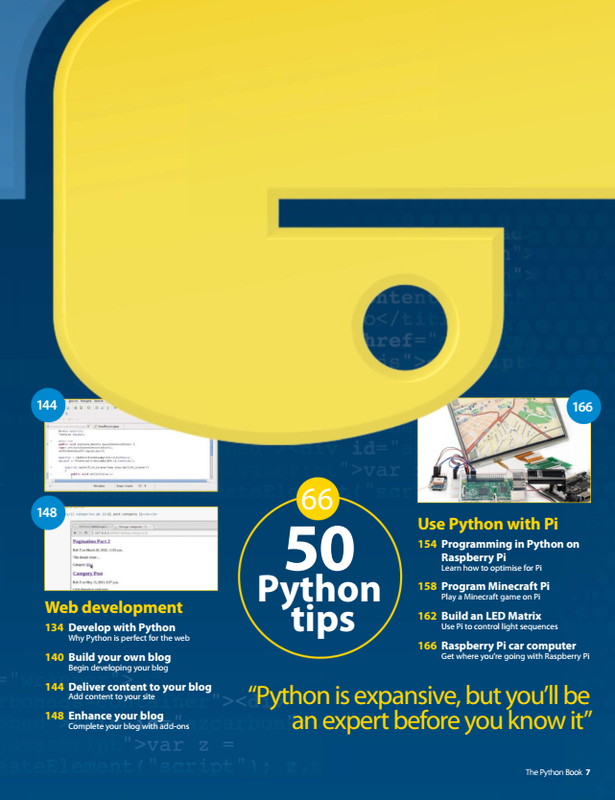 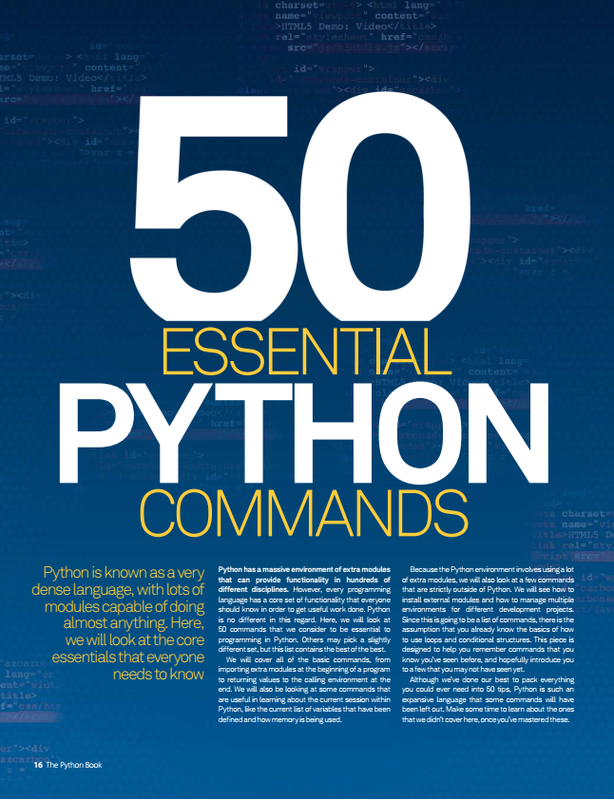 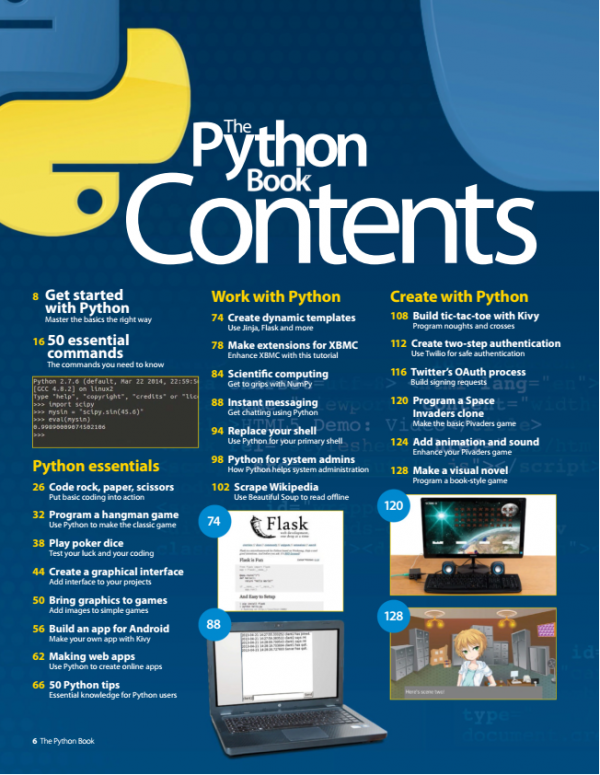 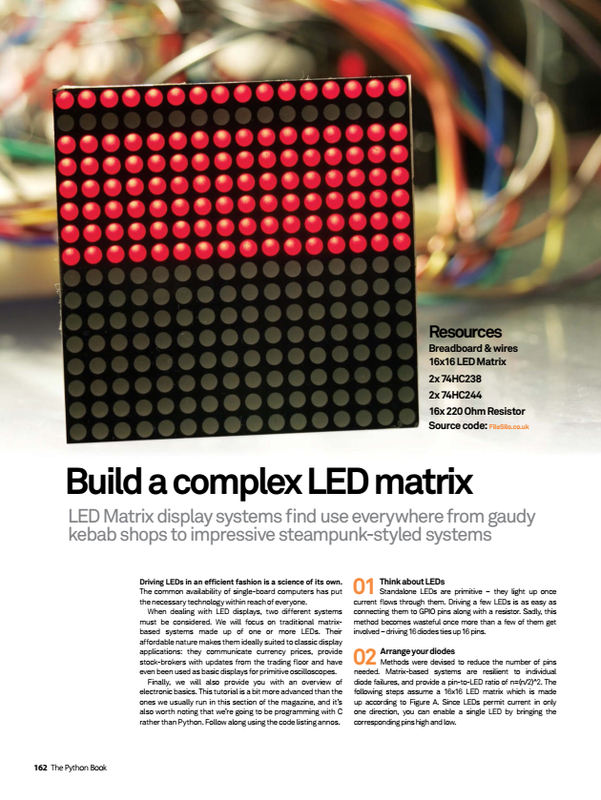 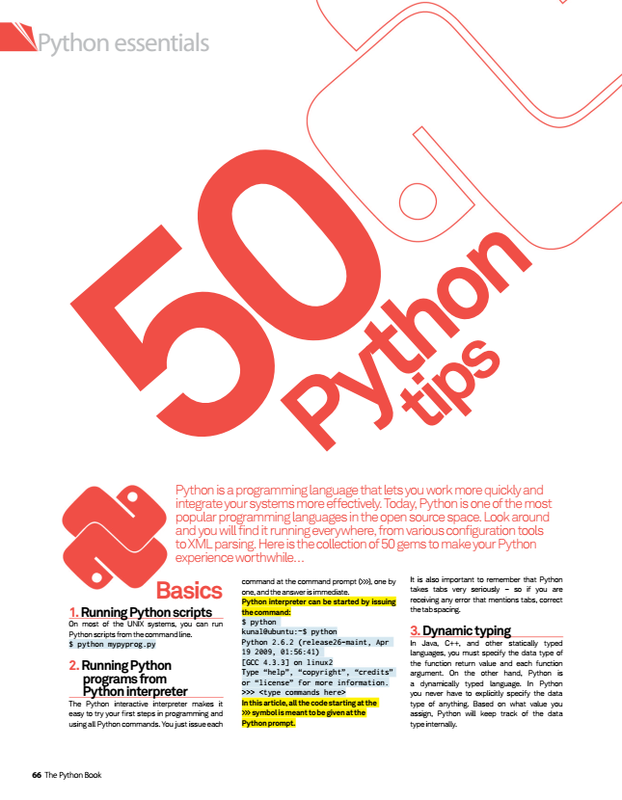 In The Python Book, you’ll find plenty of creative projects to help you get to grips with the combination of your Raspberry Pi and Python’s powerful functionality, but there are also plenty of tutorials that focus on Python’s effectiveness away from the Raspberry Pi. You’ll learn all about how to code with Python from the very beginning with our comprehensive masterclass, then go on to complete tutorials to consolidate your skills and become fluent in the language while also improving your computing experience. 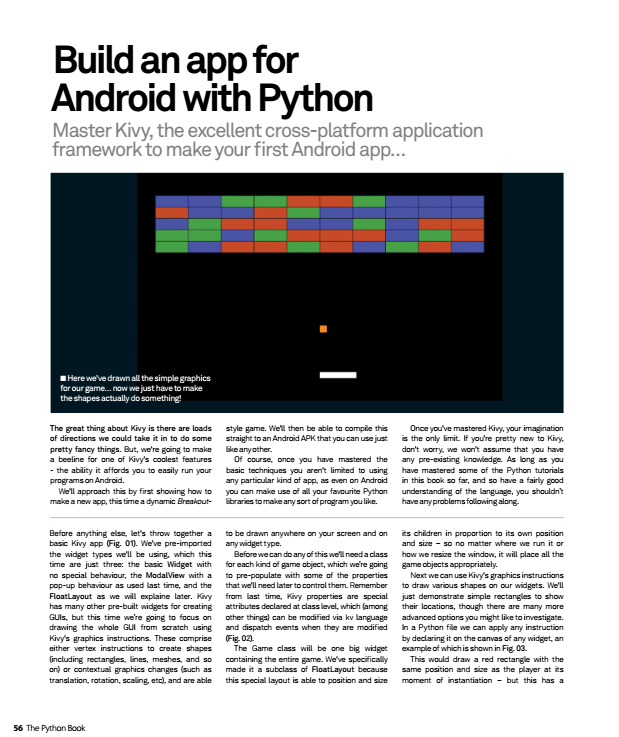 You’ll learn how to make Python work for you with tutorials on coding with Django, Flask, Pygame and even more useful third-party applications and frameworks. 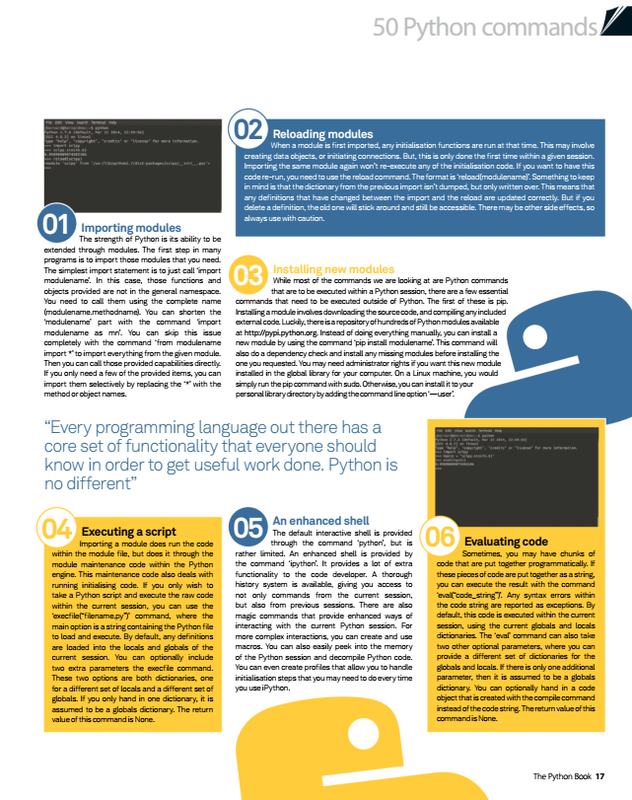 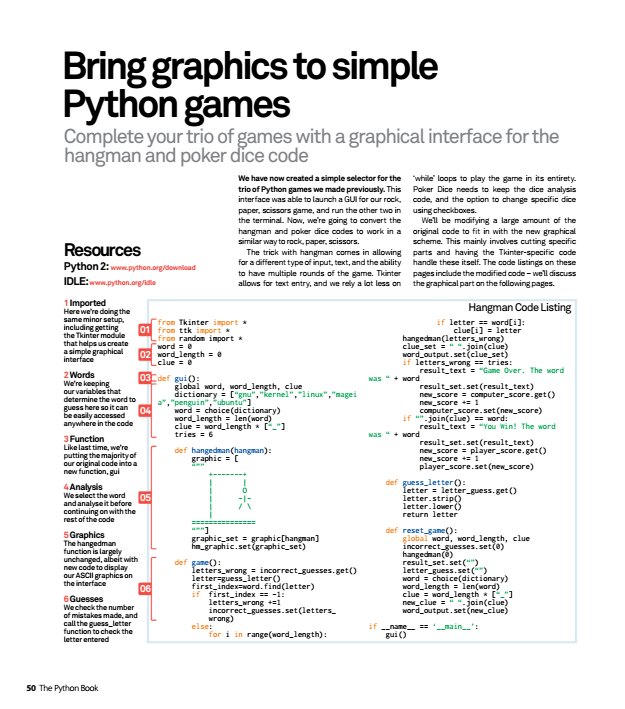 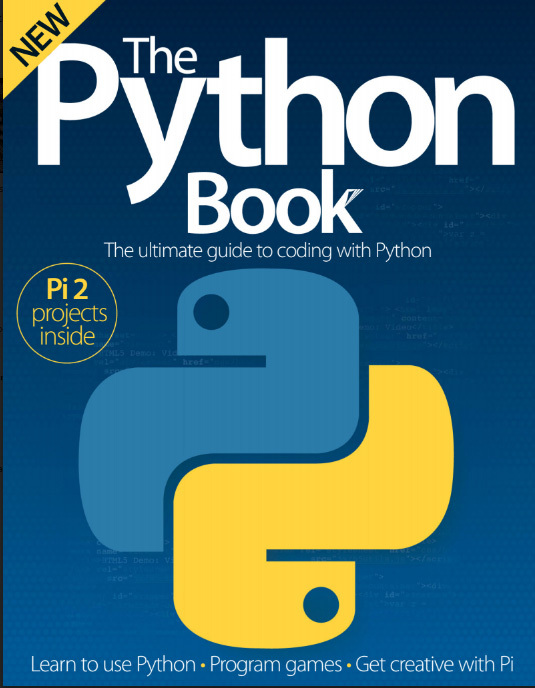 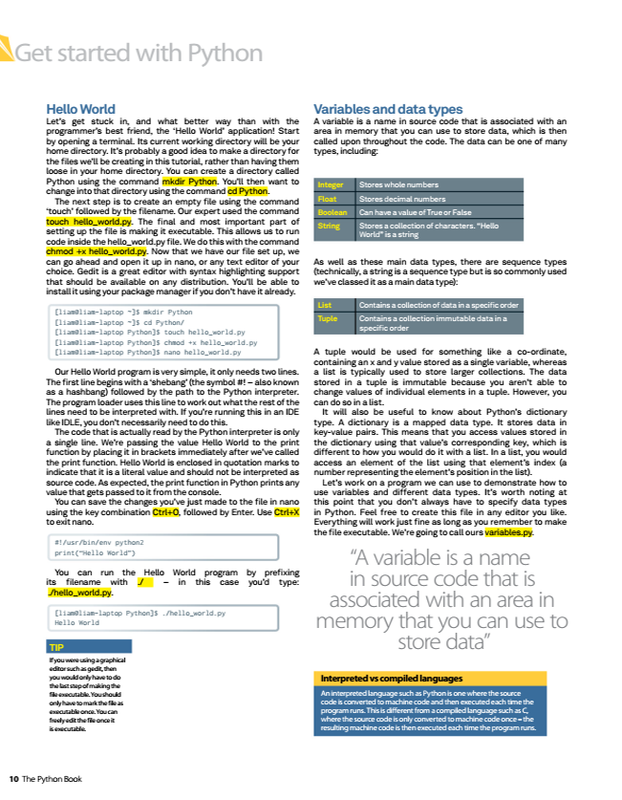 Get ready to become a true Python expert with the wealth of information contained within these pages.